Pennsylvania suffers one of the highest mesothelioma death rates in the country. Residents have options to better prevent exposure and seek legal help when facing a diagnosis. Pennsylvania has experienced 2,779 mesothelioma deaths from 1999-2015. The state has a high mesothelioma death rate of about 13 per million each year. Pennsylvania has at least 41 documented natural asbestos deposits and mines. Patients or their surviving family members have 2 years to file a claim. Pennsylvania has one of the highest mortality rates from asbestos-related diseases in the U.S. 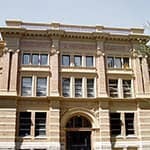 Although the use, removal, and disposal of asbestos-containing materials is now heavily regulated in the state and across the country, many counties in Pennsylvania have a long legacy of asbestos use that has left them with large volumes of waste and higher than average rates of mesothelioma diagnoses. Mesothelioma is a rare type of cancer that can result from breathing in asbestos fibers over a prolonged period. Pennsylvania is home to several cancer clinics offering specialized care for patients with the condition. Mesothelioma cannot currently be cured, but with treatment, patients can experience a reduction in pain and an increase in quality of life. No amount of asbestos exposure is safe, but a court decision upheld by the Pennsylvania Supreme Court in 2012 rejected expert testimony in a mesothelioma lawsuit claiming that any amount of exposure could have led to the claimant’s disease. This decision will almost certainly have an impact on the admissibility of any expert testimony submitted in future asbestos trials in the state. Despite efforts to streamline asbestos litigation in Pennsylvania, hundreds of cases remain pending. In addition to numerous cases filed by mesothelioma patients and their families where exposure occurred in the state, Pennsylvania has attracted so many out-of-state asbestos lawsuits that a separate court was created in 1992 to handle them. This court, known as the Complex Litigation Center, also handles mass tort cases not related to asbestos. Pennsylvania has the third highest rate of mesothelioma mortalities in the U.S., behind California and Florida. Between 2001 and 2010, the Centers for Disease Control and Prevention (CDC) reported 1,711 deaths from mesothelioma in the state. The average loss of life was 12.5 years. Asbestos exposure most often occurs in the workplace, with those employed in industries known for asbestos manufacturing or use facing the greatest risk. In Pennsylvania, workers have been exposed in sites such as power plants, shipyards, and steel mills. When an employer fails to adequately follow regulations designed to protect workers from exposure, it is possible for asbestos fibers to be carried into the home on an employee’s shoes, hair, or clothes. This puts everyone around them at risk. Around 20% of all mesothelioma cases in the U.S. are the result of secondary exposure to asbestos, making the wearing and decontamination of protective clothing even more important for public safety. Some areas of Pennsylvania have higher than average rates of mesothelioma diagnoses. In particular, a 2011 report by the Philadelphia Department of Health found that residents of the borough of Ambler (formally known as the “Asbestos capital of the world”) were diagnosed with the condition three times more often than anywhere else in the state during the period 1992-2008. Ambler was the site of a Keasbey and Mattison Company plant that had been manufacturing asbestos since 1881. The plant was bought by Turner & Newall (which was later bought by Federal-Mogul) in 1934, and eventually closed in 1962, only to be bought by Nicolet Industries and CertainTeed Corporation, both of which continued to produce asbestos-containing products at the site. Over decades of operation, this one site exposed countless workers and their families to asbestos, leading to thousands of lawsuits. Nicolet went bankrupt in 1987 after it was hit by a heavy volume of asbestos lawsuits. In 2001, Federal-Mogul also filed for Chapter 11 bankruptcy under the weight of the asbestos liability it had inherited. Both companies have established trust funds to pay for future asbestos litigation, with billions of dollars set aside between them. So much asbestos waste was found in Ambler that an area of the borough became known as the “White Mountains,” and later as the “Ambler Asbestos Piles.” The EPA has worked extensively to clean up this site and make it safe and pleasant for residents. While mesothelioma cannot currently be cured, patients often experience a prolonged life and relief from pain with specialized treatment. This can include surgery, radiation therapy, and chemotherapy (or a combination of the three), as well as alternative treatments. As with any cancer, the costs associated with mesothelioma diagnosis and treatment can be high. Visit our page on treatment costs to learn about options for recovering some or all of the costs. 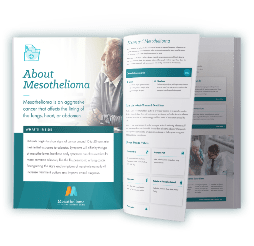 Mesothelioma has a long latency period, and patients typically don’t experience any symptoms 15 and 60 years after their initial exposure to asbestos. Unfortunately, once the first symptoms show, the disease progresses rapidly. The earlier mesothelioma is diagnosed, the more effective treatment may be, so it’s important to seek medical assistance immediately if you or someone you care about is showing symptoms of the condition. Many doctors in Pennsylvania specialize in the treatment of mesothelioma. There are also a number of cancer clinics in the state that are home to dedicated mesothelioma treatment programs. Patients are often eligible to participate in clinical trials for emerging treatments at some of these hospitals. Since no federal legislation exists to compensate mesothelioma patients, many have filed lawsuits against the parties responsible for their asbestos exposure. In May 2012, an important decision was made by the Pennsylvania Supreme Court concerning the use of expert testimony in a 2005 mesothelioma case. A former auto mechanic named Charles Simikian filed suit in the Allegheny County Court of Common Pleas against numerous former employers that he claimed exposed him to asbestos, resulting in his mesothelioma diagnosis. Dr. John C. Maddox gave expert testimony stating that any amount of asbestos exposure could contribute to the disease. This claim was heavily criticized by attorneys for the defendants, and Judge Robert J. Colville ordered a Frye hearing to determine whether the evidence Dr. Maddox gave was admissible. The Frye standard tests whether testimony provided in a case is generally accepted by the scientific community at large. In this instance, Judge Colville found that Dr. Maddox’s testimony contradicted popular opinion. As a result, his testimony was excluded. The Pennsylvania Supreme Court’s decision to uphold Judge Colville’s decision will likely have a bearing on any future litigation in which the “any exposure” theory is brought forward. In Pennsylvania, the statute of limitations for filing an asbestos-related claim for personal injury or wrongful death is two years from the date of formal diagnosis (or the date that the condition could reasonably have been expected to be diagnosed). Importantly, it is not two years from date of death. In March of 2015, the Pennsylvania Superior Court upheld the dismissal of a case (Wygant v. General Electric Co.) in which claims were brought within two years of date of death, but after the two-year statute of limitations from initial diagnosis had expired. Contact a Pennsylvania mesothelioma attorney to discuss the best options for you and your family. In addition to individual claims, around 3,000 asbestos-related cases currently make up a multidistrict litigation (MDL) handled by the Eastern District of Pennsylvania, known as MDL 875. This MDL is overseen by Judge Eduardo C. Robreno. Pennsylvania courts face such high volumes of asbestos lawsuits that numerous efforts have been made to streamline them, with some success. In a 2012 order issued by the Court of Common Pleas of Philadelphia Country’s Trial Division, courthouse officials note a steady increase in asbestos-related claims each year since 2006, with 770 cases in the division’s inventory at that time. The order criticizes members of court leadership for comments published in 2009 that invited claims from other jurisdictions to be tried to Philadelphia, despite the huge backlog that the court already faced. By 2011, almost half of asbestos claims being tried in Philadelphia were from out-of-state. This did nothing to speed up litigation from within Pennsylvania, which was already proceeding far slower than the standards set by the American Bar Association (ABA). Punitive damages are deferred in mass tort cases. All discovery must take place in Philadelphia (except in certain important circumstances). Lawyers who have not passed the Bar Exam in Pennsylvania must do so if they wish to be involved in more than two trials per year in the state. While all parties must usually be in agreement for cases to be consolidated, this does not apply to asbestos cases. Any asbestos cases scheduled to go to trial after February of 2012 are required to be consolidated into groups of 8-10. Until the backlog clears, financial and medical reasons are not cause for a case to be expedited. To find out whether any of these regulations will affect your claim, speak to a lawyer who specializes in mesothelioma cases in Pennsylvania. Like other states, Pennsylvania follows federal regulations concerning the use, removal, transportation, and disposal of asbestos. In addition to this, Philadelphia and Allegheny County have created their own standards for contractors handling asbestos. In Philadelphia, these regulation are detailed under Title 6, Health Code, of the Philadelphia Code. In Allegheny, the county with the highest rate of asbestos deaths in the state, asbestos regulations are covered by Allegheny County Health Department (ACHD) Article XXI Subpart 6. 1 Allegheny County Health Department. Air Quality: Asbestos Section. 3 City of Philadelphia Department of Public Health, Board of Health. Asbestos Control Regulation. Published May 22, 1989. Updated July 20, 2009. 4 First Judicial District of Pennsylvania, Court of Common Pleas of Philadelphia County, Trial Division. General Court Regulation No. 2012-01. In re: Mass Tort and Asbestos Programs. 6 Pennsylvania Bar Institute. Two-Year Statute of Limitations for Asbestos-Related Wrongful Death Action Commences on Date of Diagnosis. Published April 27, 2015. 7 Redding B. Pennsylvania High Court Rejects 'Any Exposure' To Asbestos Causation Theory. LexisNexis Legal Newsroom. Published May 24, 2012. 8 U.S. District Court, Eastern District of Pennsylvania. MDL 875 In Re: Asbestos Products Liability Litigation (No. VI). Updated March 8, 2017. 9 U.S. Environmental Protection Agency. EPA Releases Proposed Cleanup Plan for Public Comment. Published December 2016. 10 World Heritage Encyclopedia. Ambler, Pennsylvania.